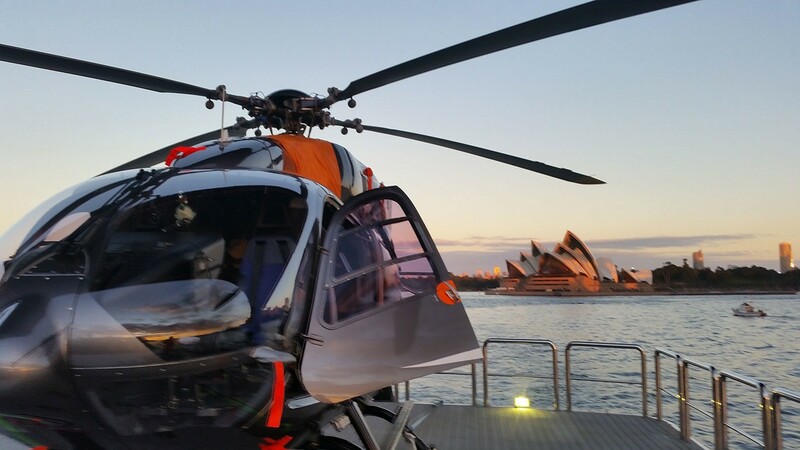 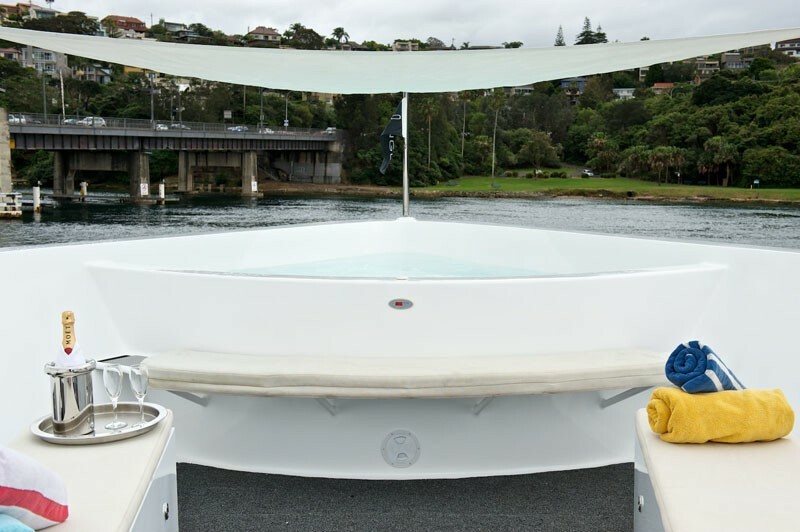 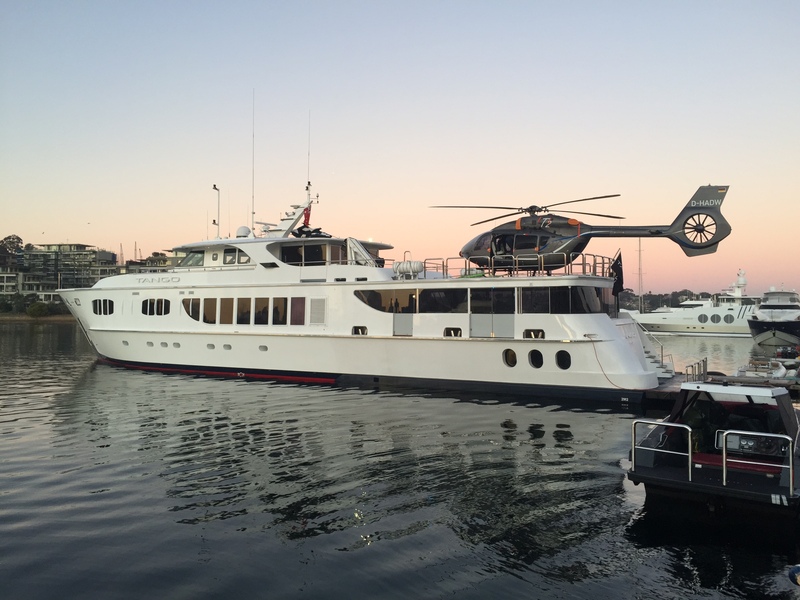 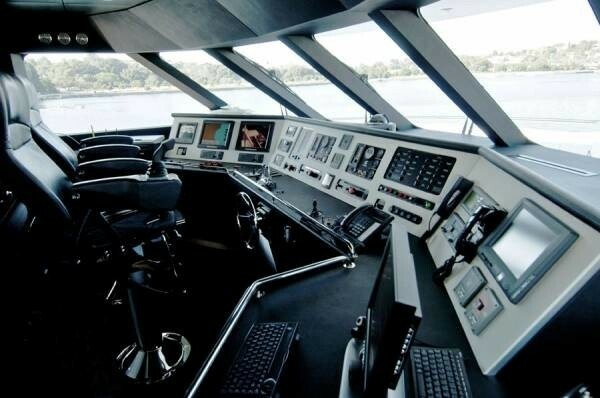 Luxury motor yacht TANGO was custom built by the Australian shipyard Austal, in 2006 and measured 37m (121ft). 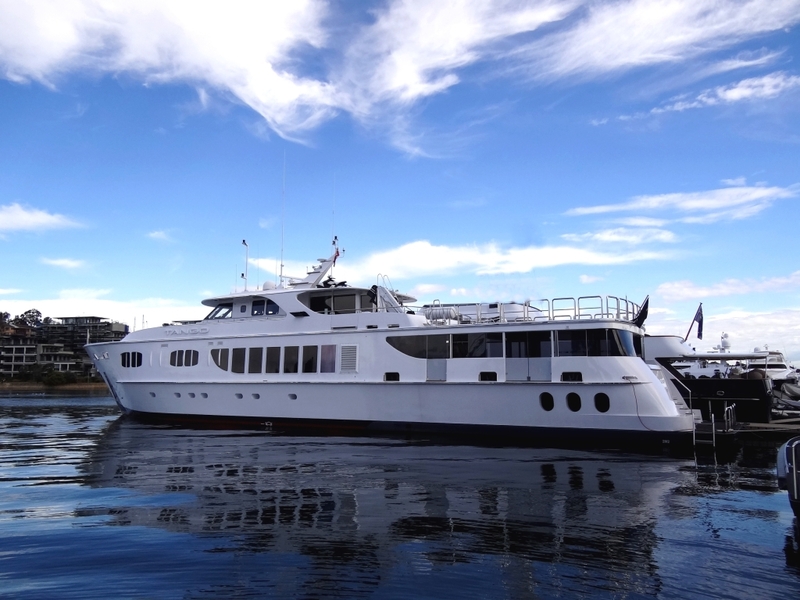 In 2014 TANGO underwent an extensive refit and extension on the stern, resulting in a 42,5m (129,5ft) total hull length. 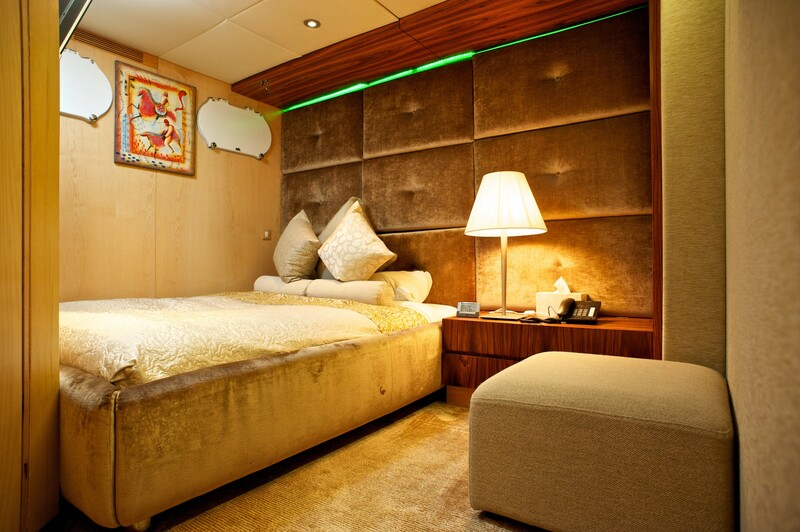 She offers deluxe accommodation for up to 8 charter guests, in 4 cabins. 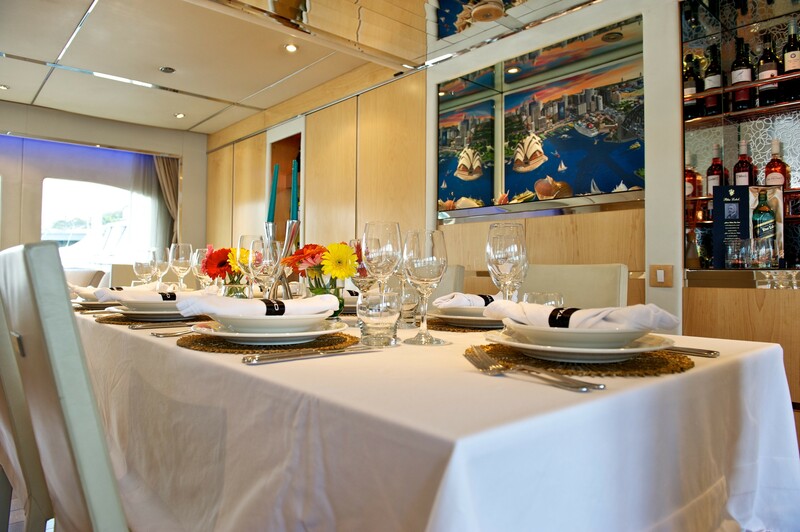 This is the ideal choice for families, friends, and corporate events. 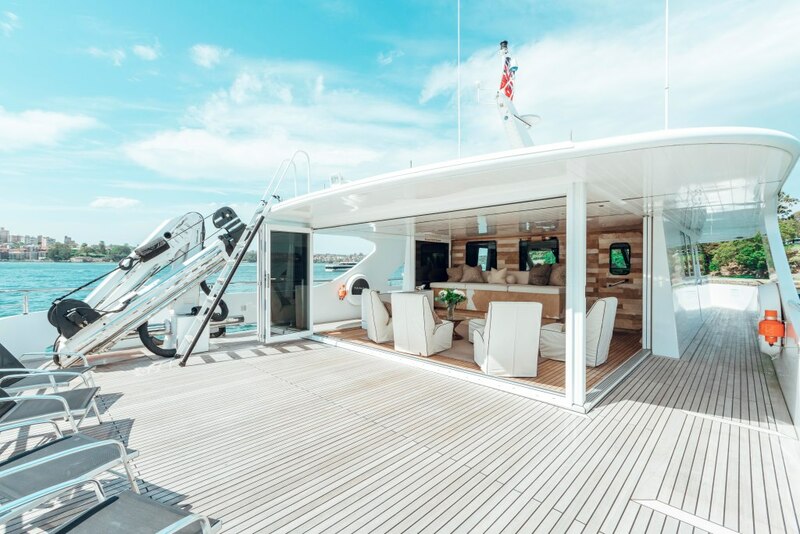 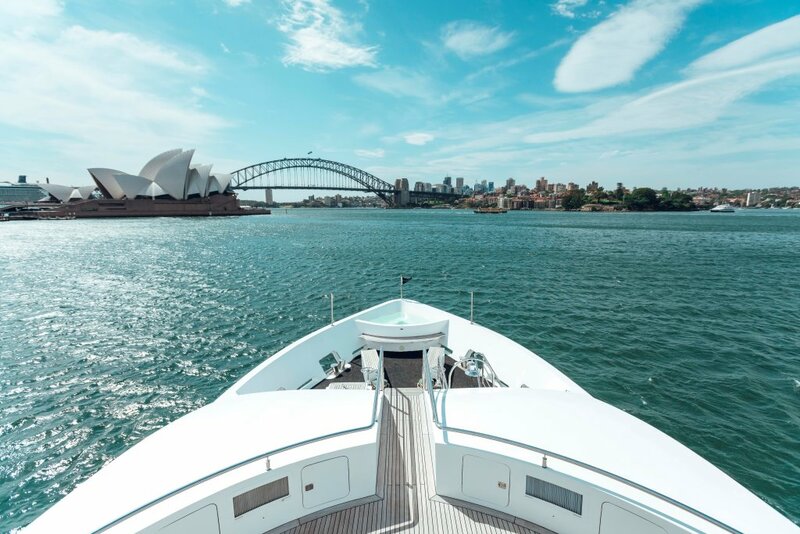 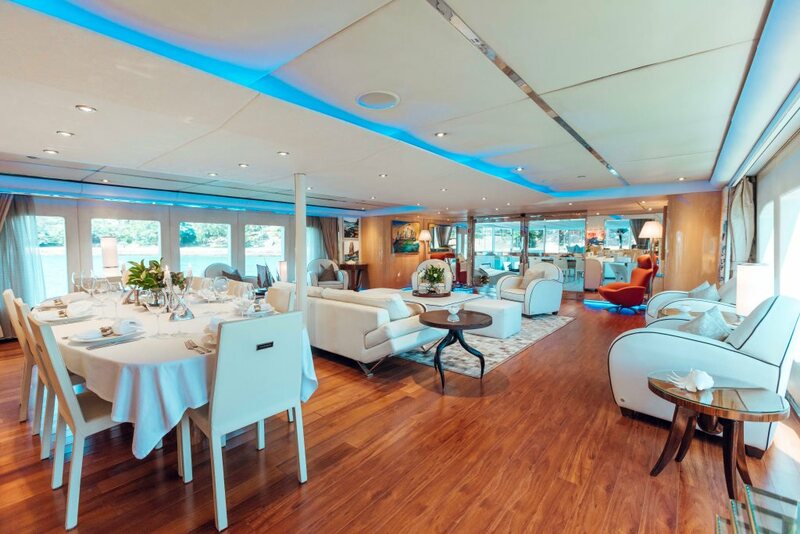 Motor yacht TANGO has a spacious and elegant interior, with a focus on high-quality finishes and furnishings, resulting in a spectacular and refined ambiance. 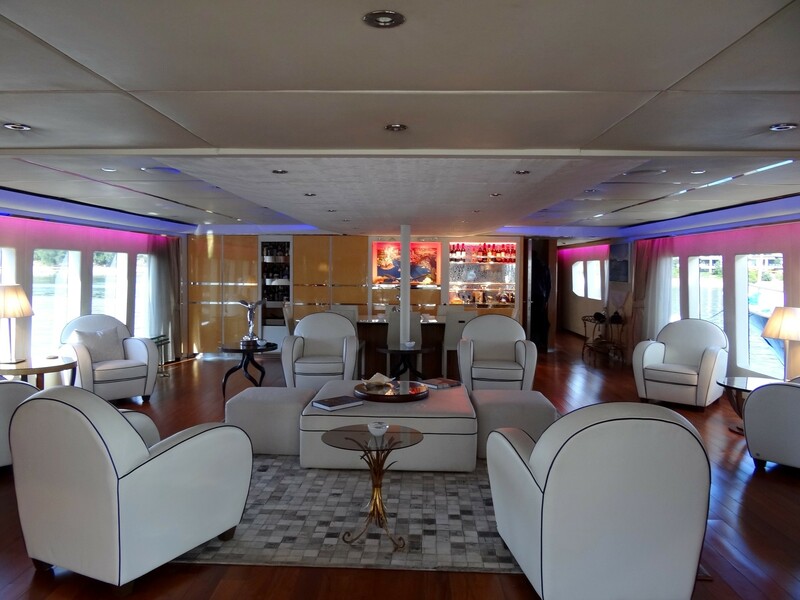 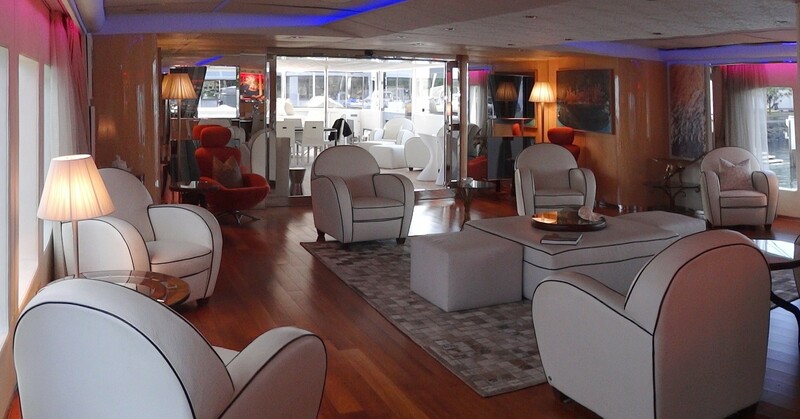 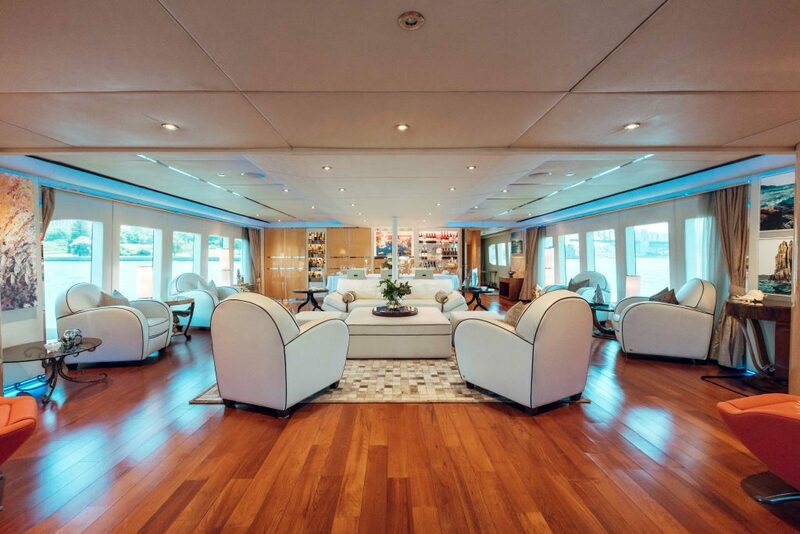 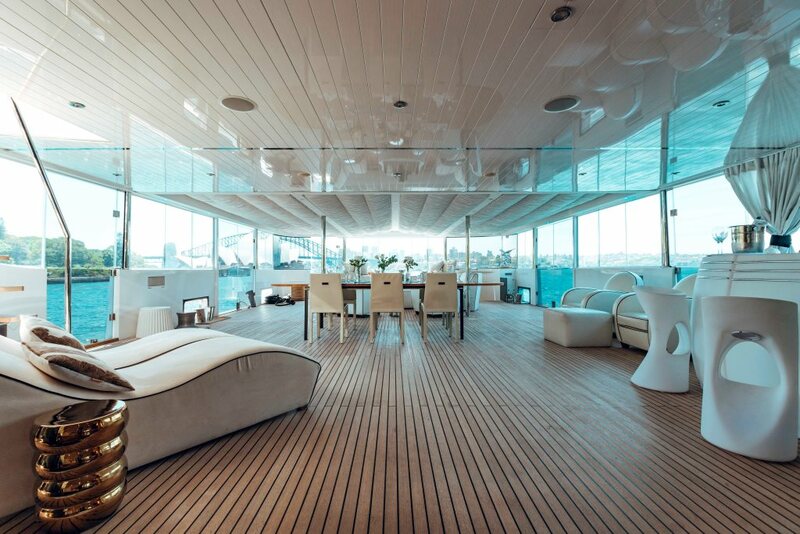 On the main deck, the salon and dining are an open plan, with emphasis on social space. 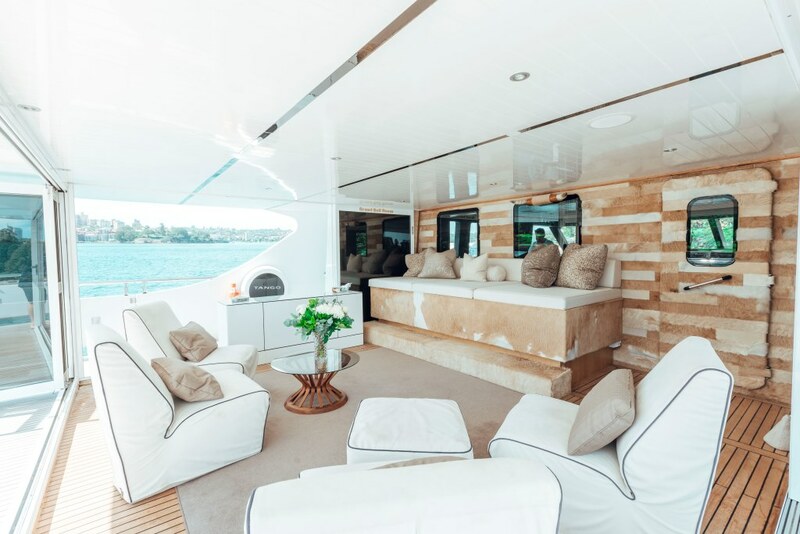 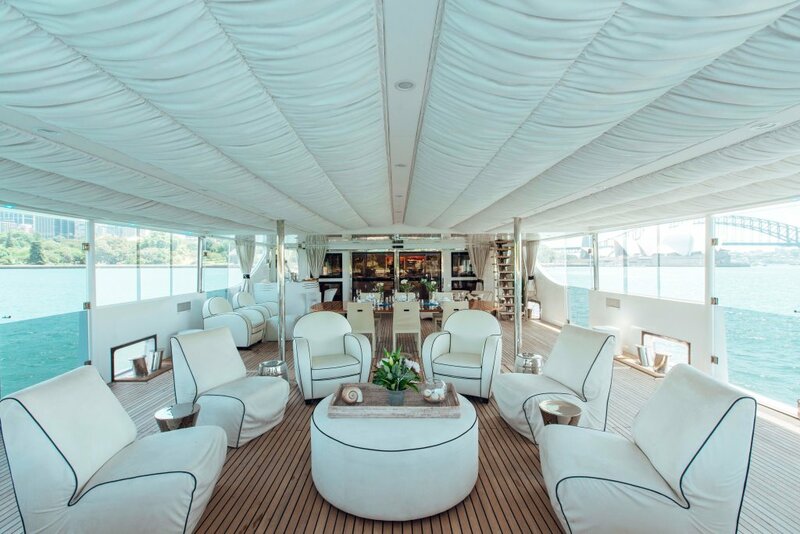 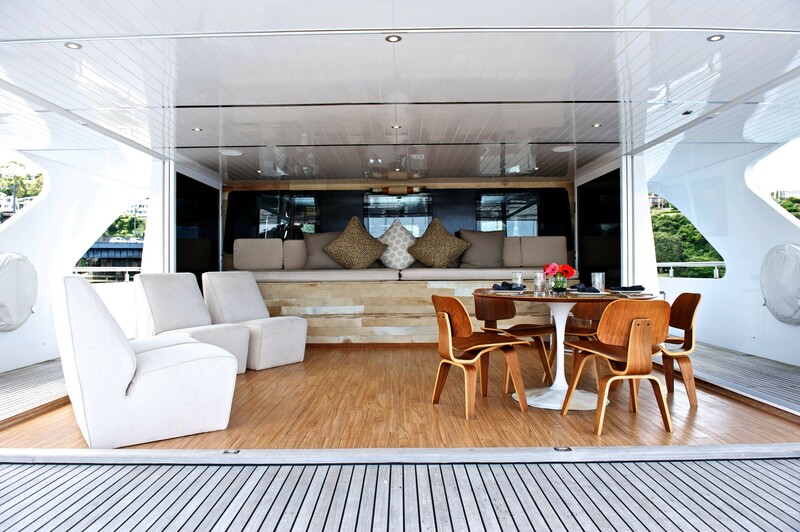 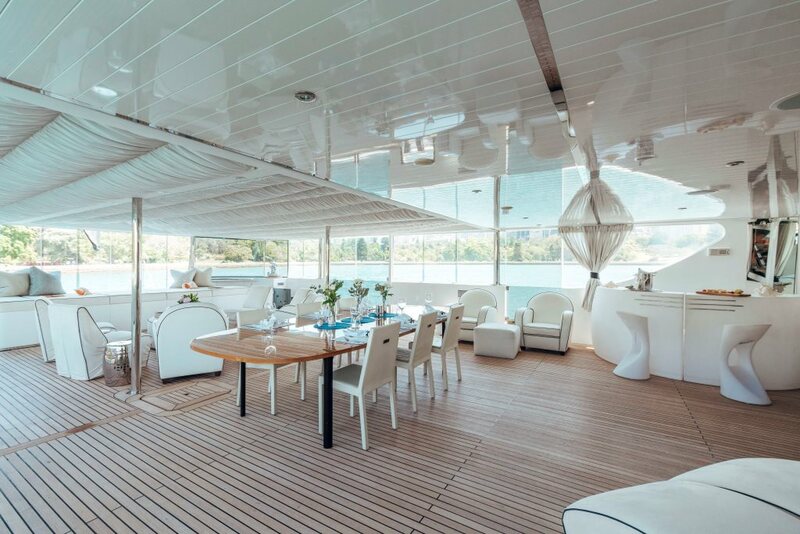 The salon flows naturally onto the aft deck, where further plush furnishings and an alfresco dining option await. 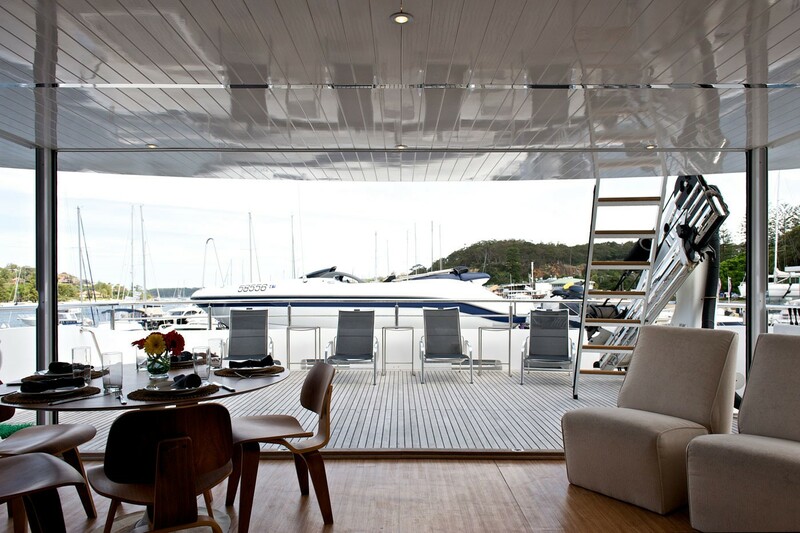 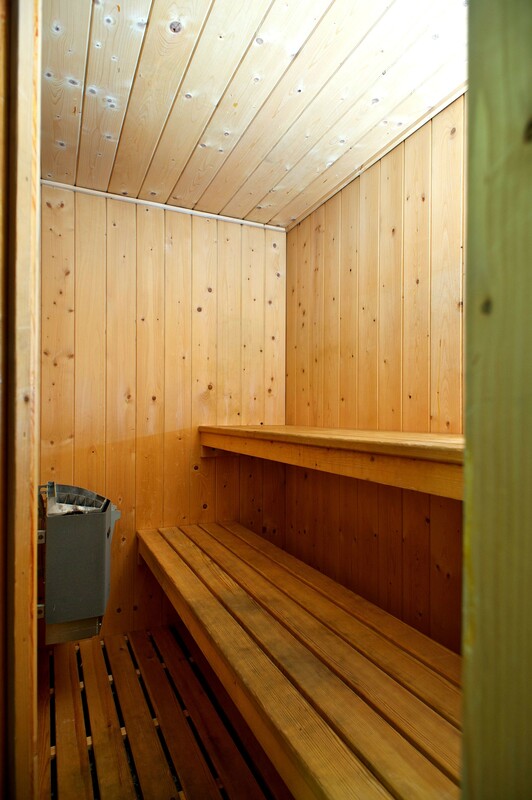 Clear side panels allow the space to be utilized no matter the weather. 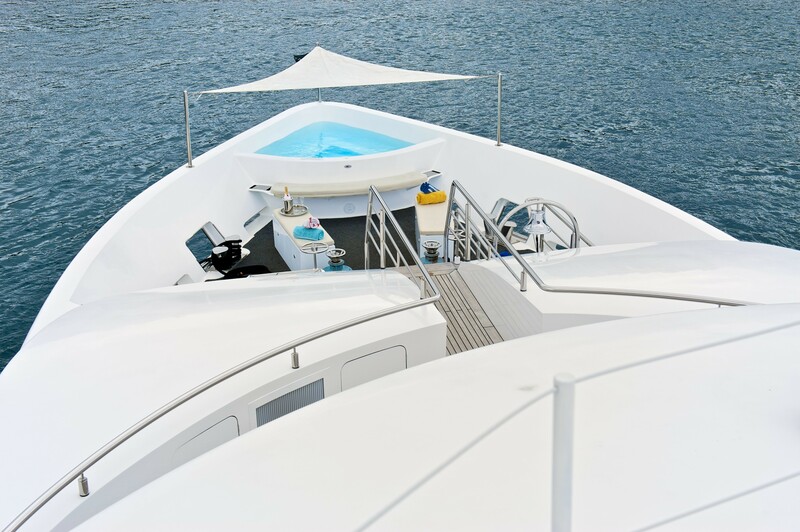 Further aft, dual steps lead to the swim platform and deluxe beach club, where guests can relax in the sauna, enjoy the views and make the most of the water toys on offer with ease. 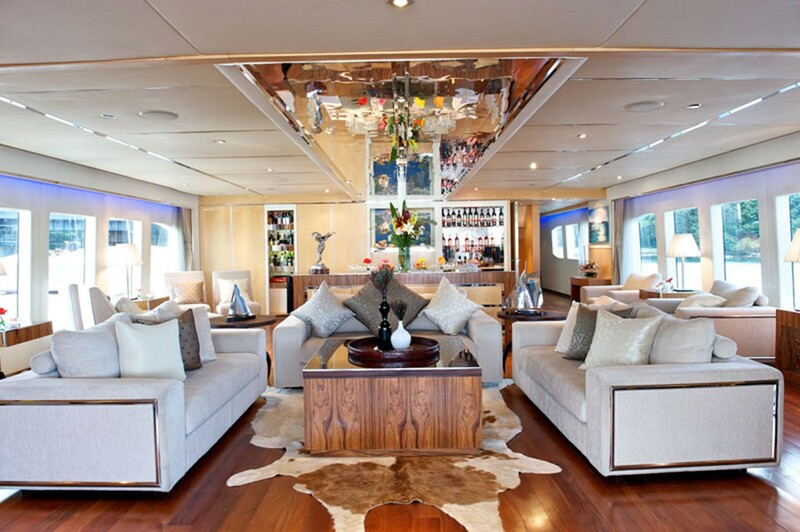 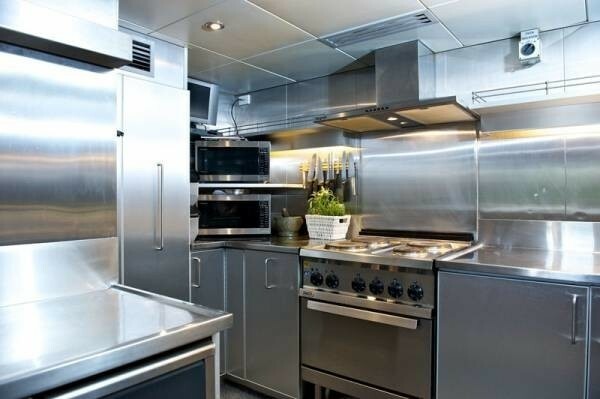 Above the main deck, there is a generous pilot house, complete with supple leather guest seating and tables. 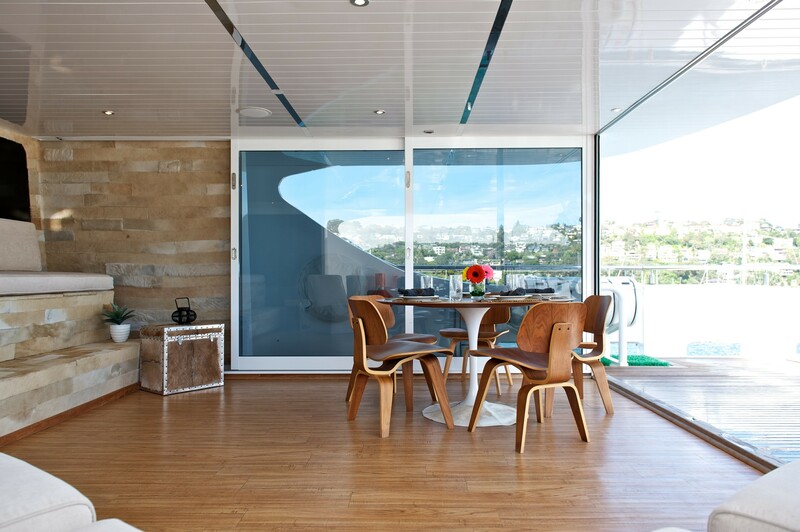 Guests may enjoy many exterior living spaces. 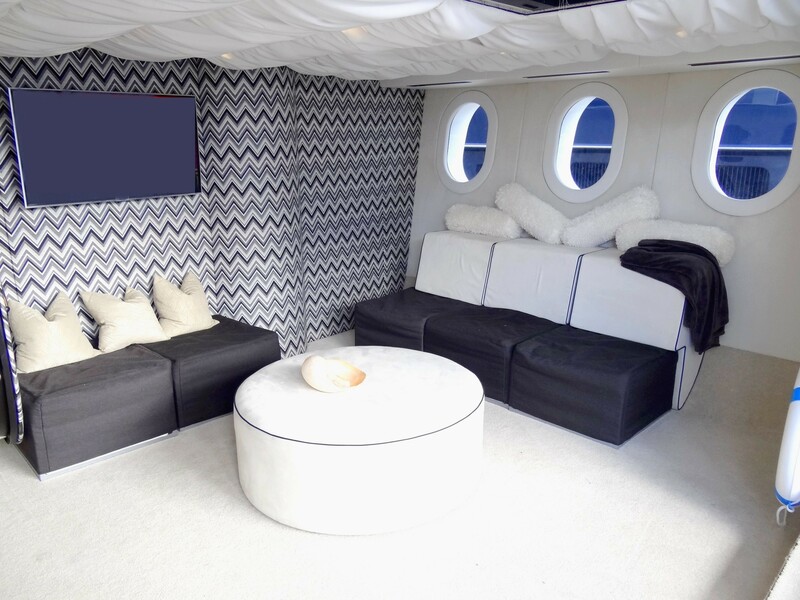 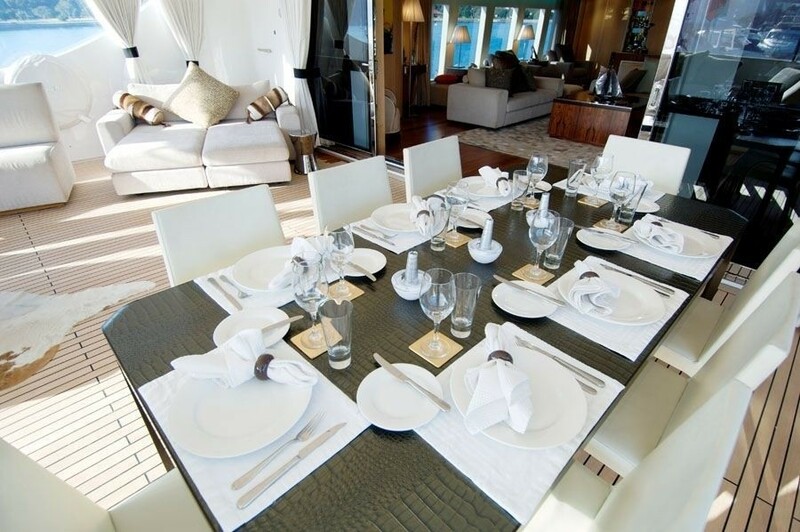 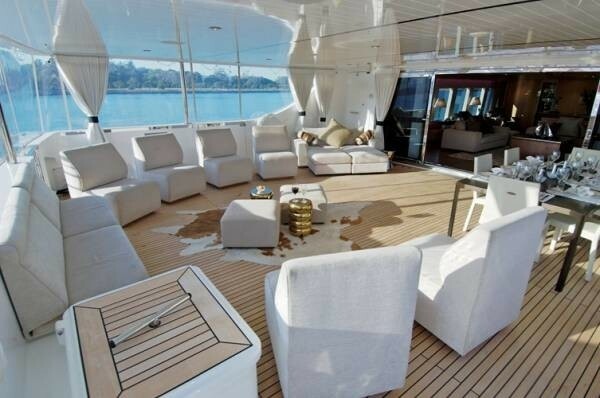 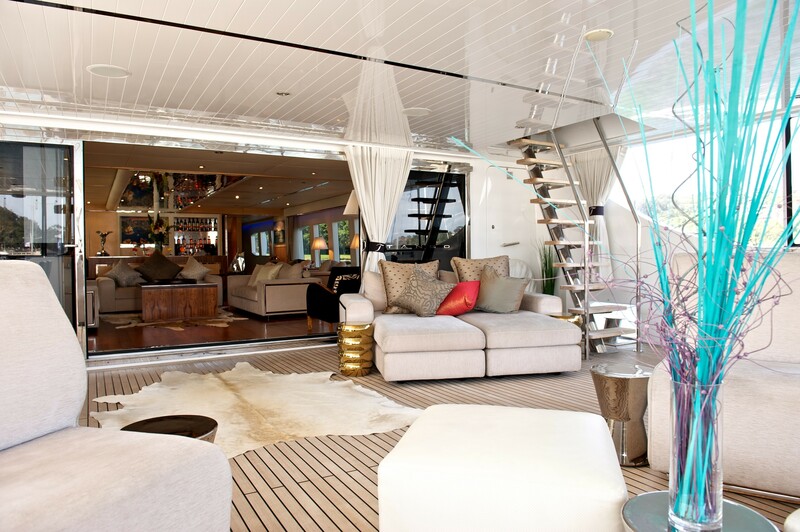 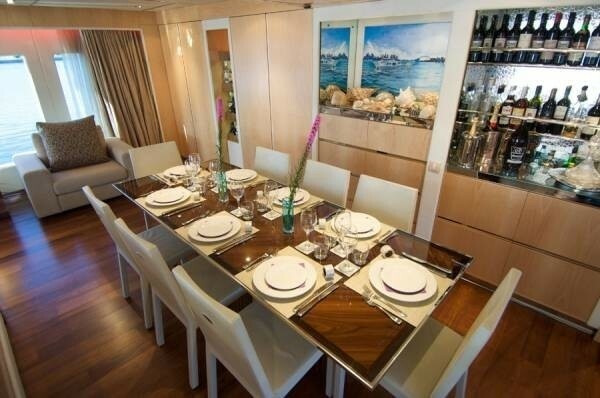 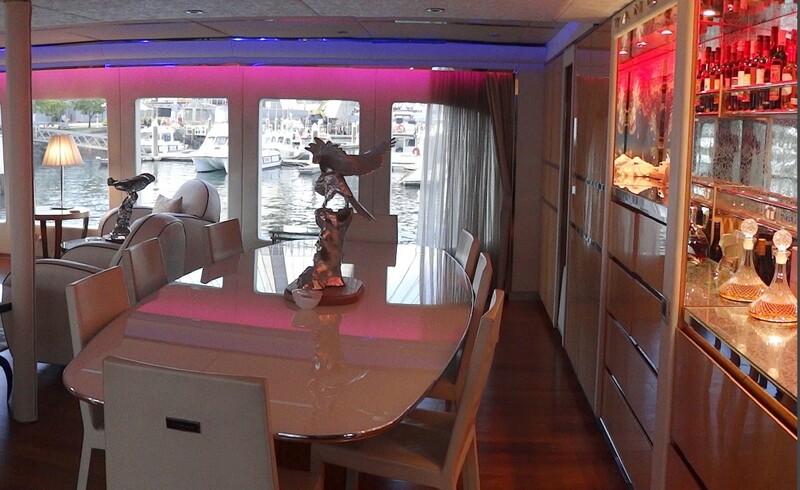 On the main deck, the aft deck is adjacent to the salon, perfect for entertaining. 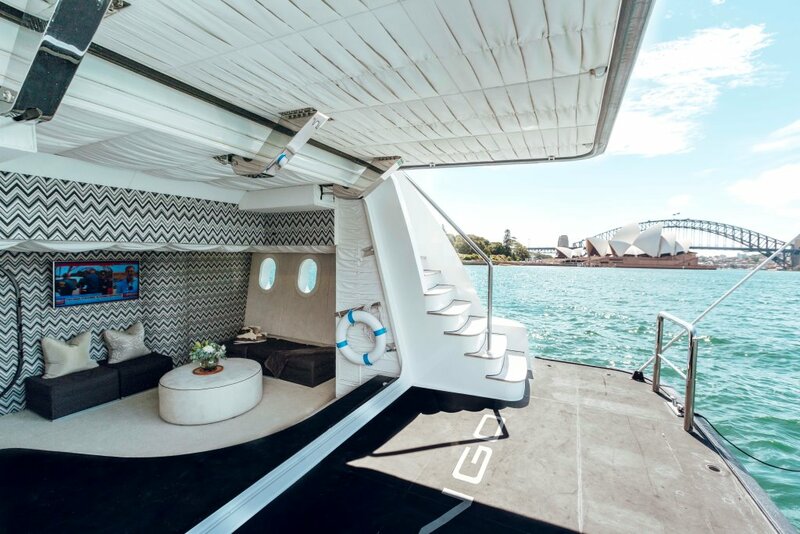 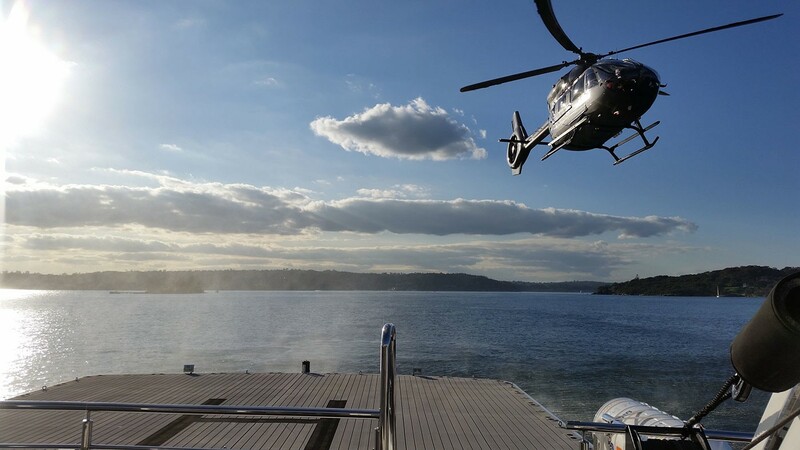 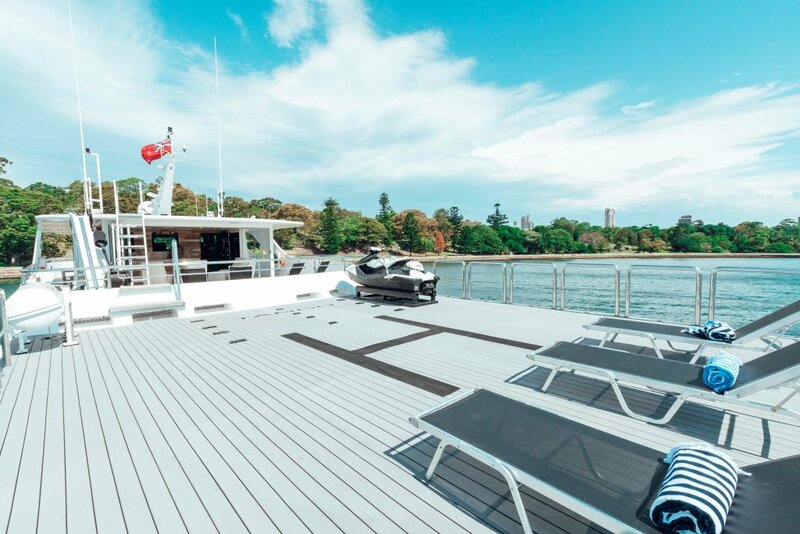 The upper deck is well-appointed, boasting a sky lounge with flat folding glass doors, creating a seamless transition from interior to the exterior, followed by a massive sun deck and helipad, perfect for entertaining and dancing under the stars, thanks to the capacious area and specialized flooring. 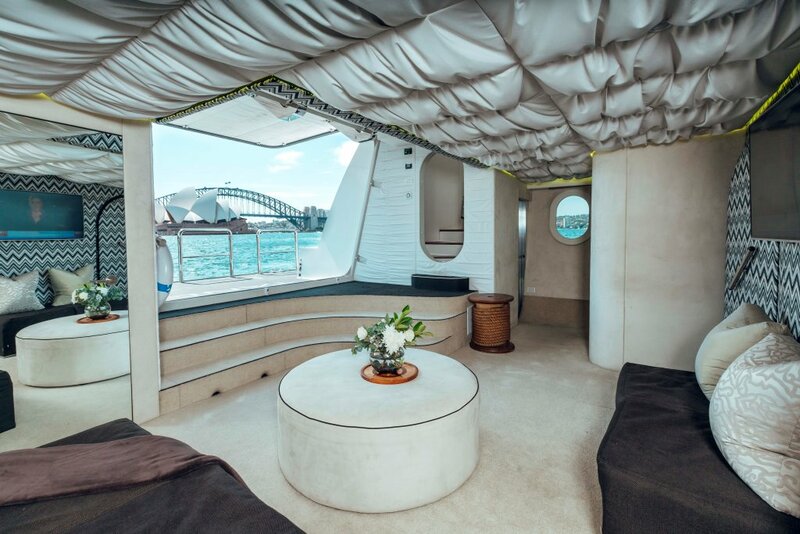 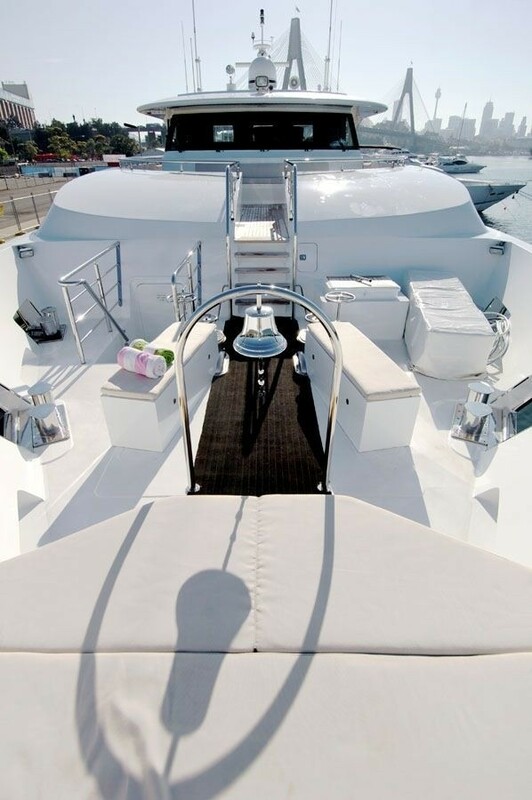 This motor yacht features a unique foredeck, sure to please everyone onboard. 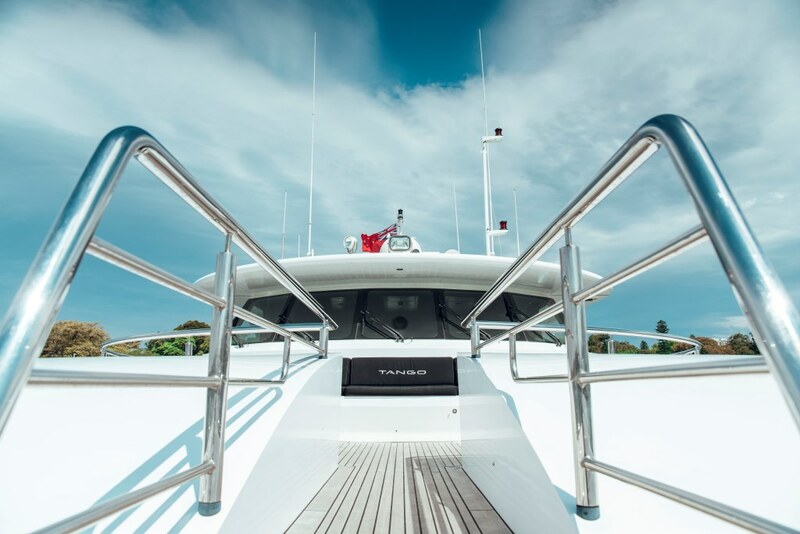 The foredeck is accessed from the upper pilothouse deck and features ample seating, sun pads, and a built-in bow spa tub. 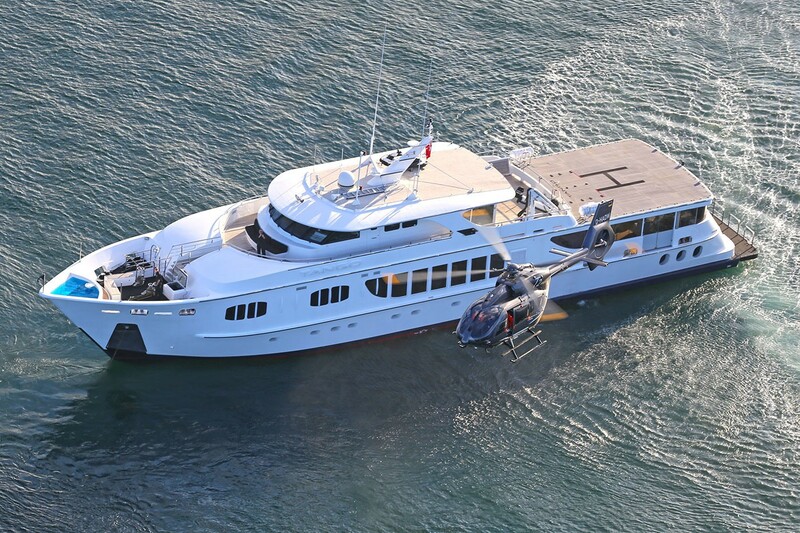 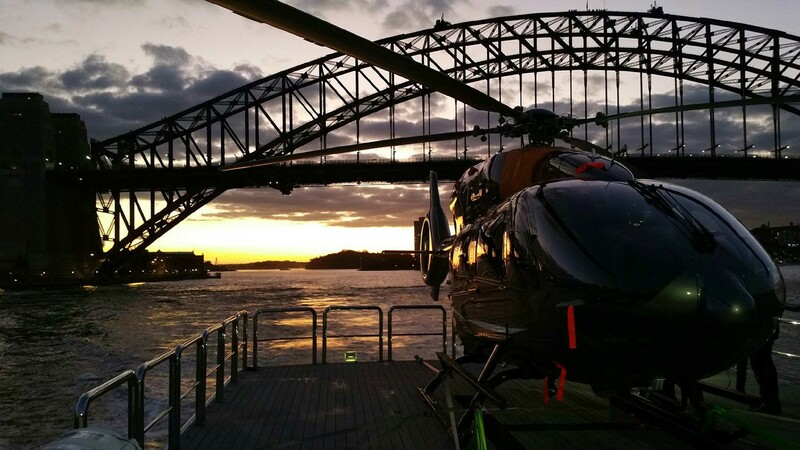 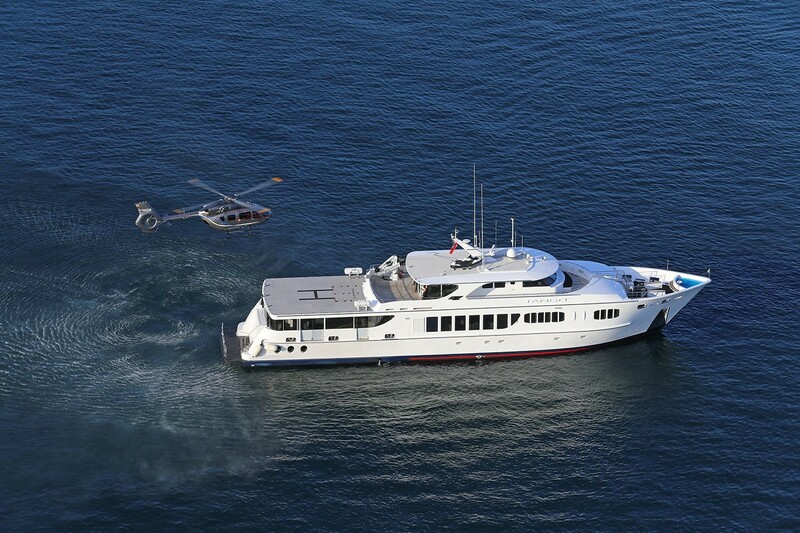 M/Y TANGO projects a statement of strength, seaworthiness, and pride. 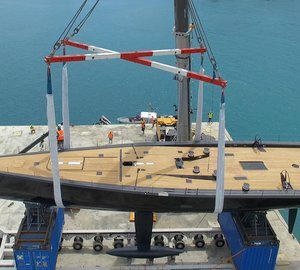 She has a beam of 8m (26.2ft) and a draft of 2m (6.5ft). 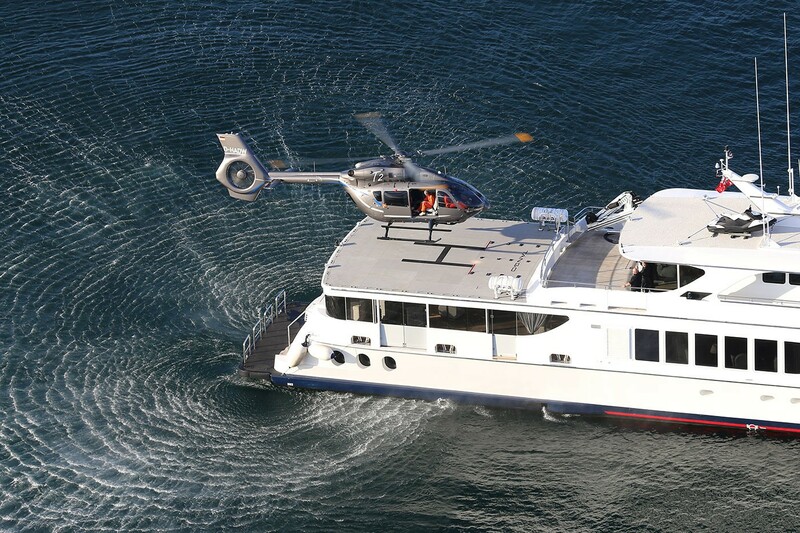 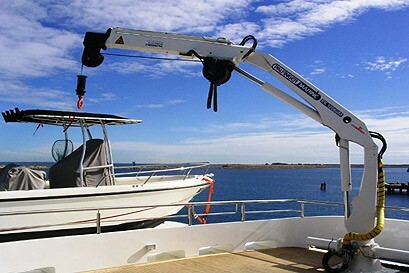 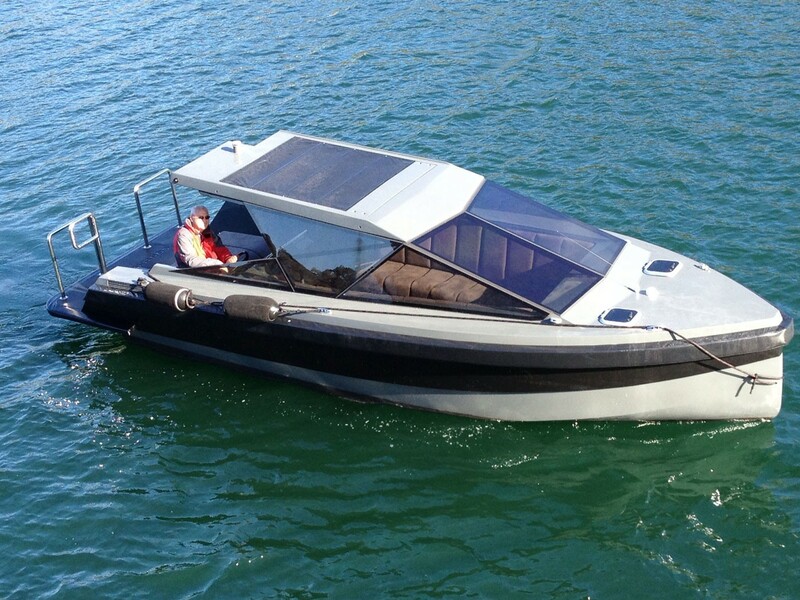 She is powered by Twin Cummins KTA19M3 engines, capable of 14 – 16 knots. 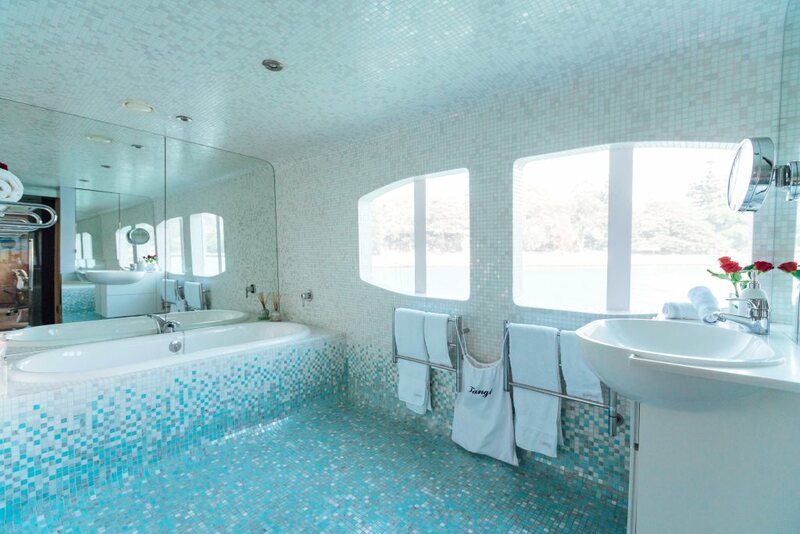 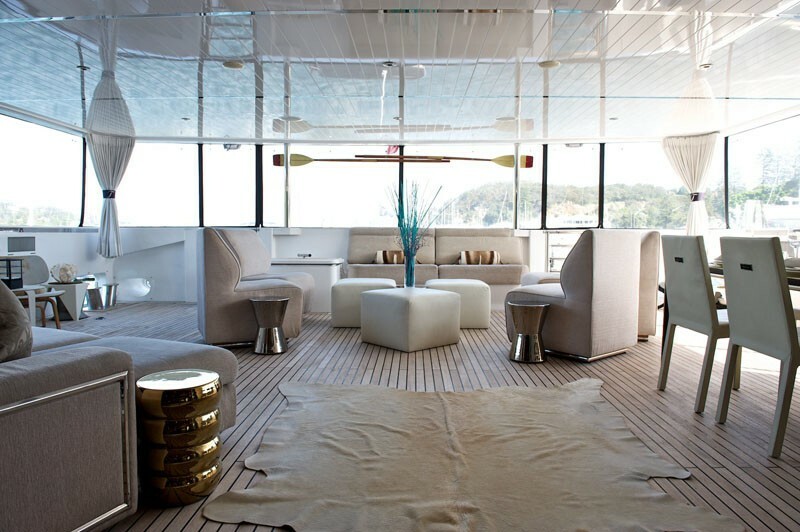 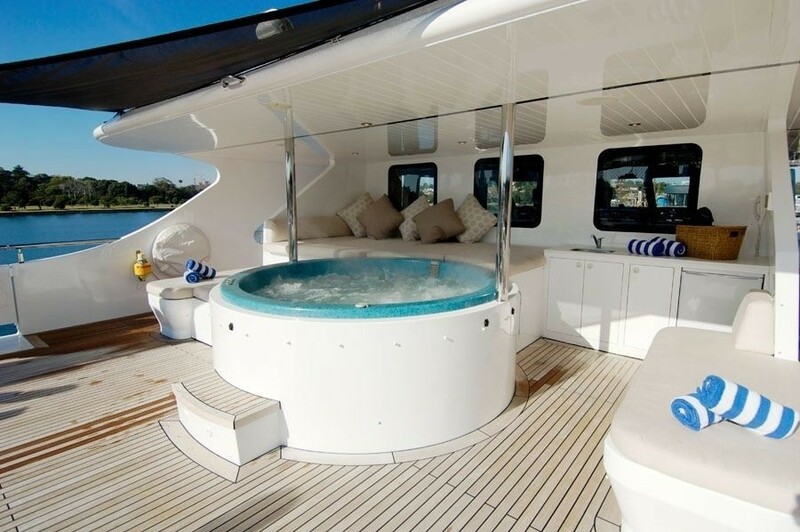 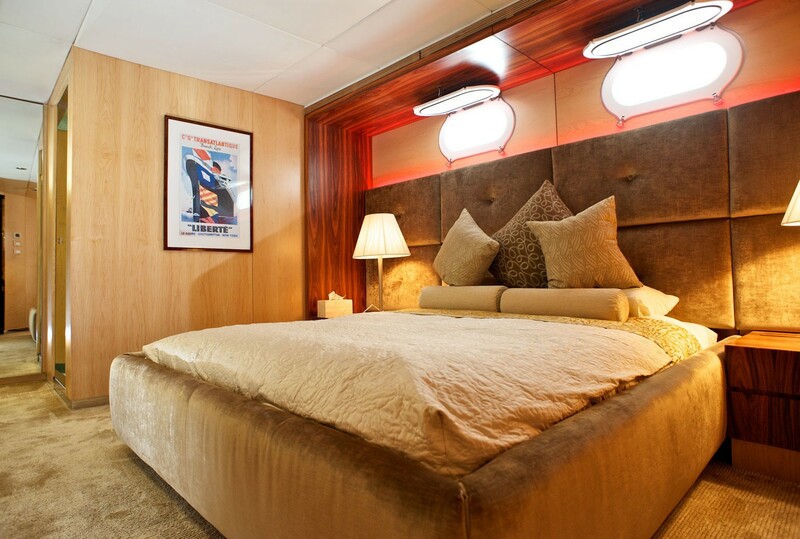 Luxury yacht TANGO accommodates 8 charter guests in 1 master and 3 double guest cabins, all with en-suite facilities. 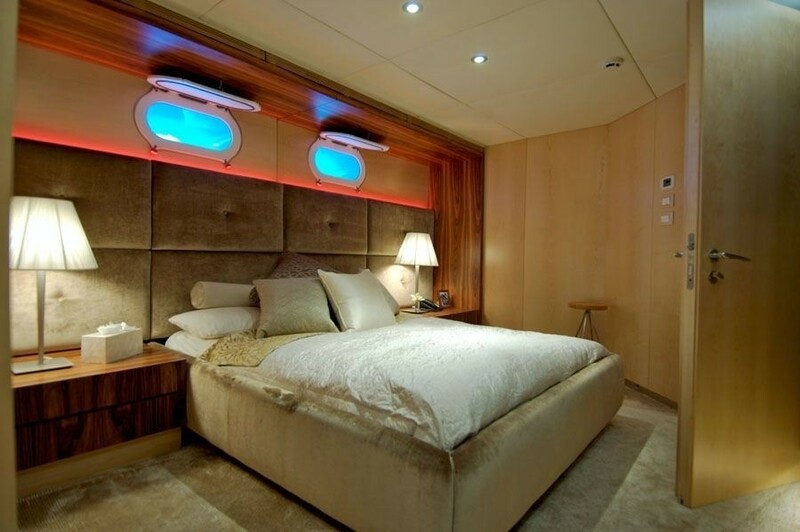 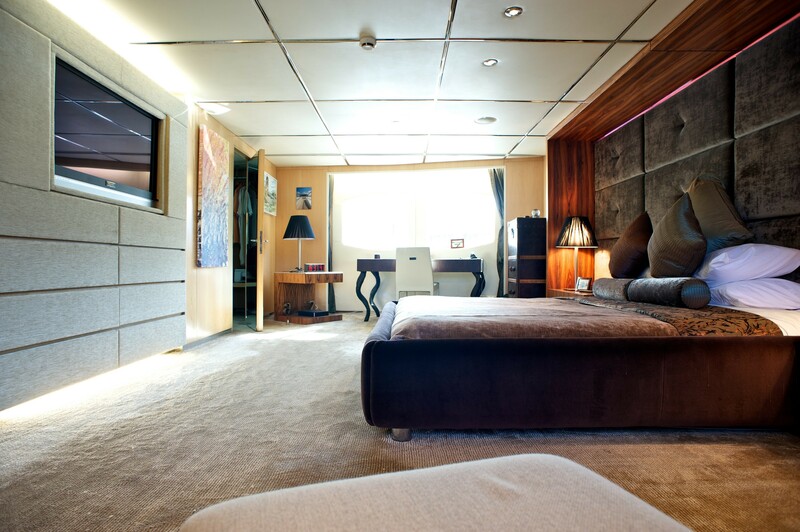 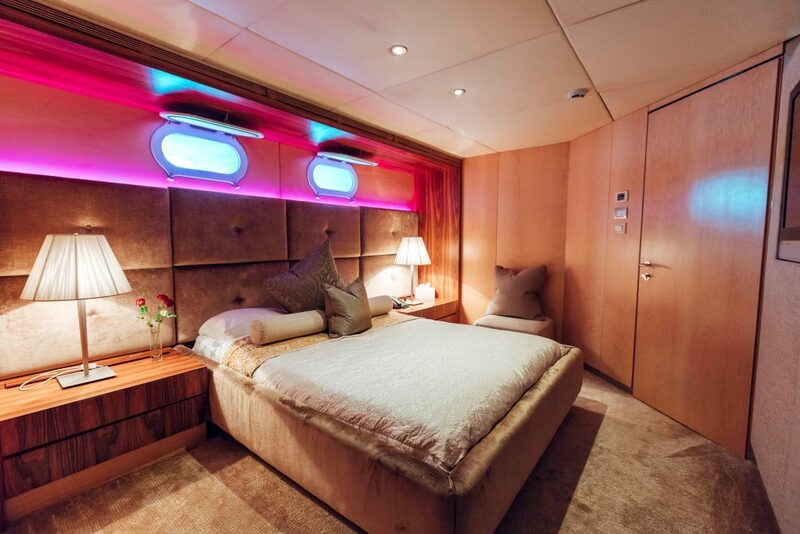 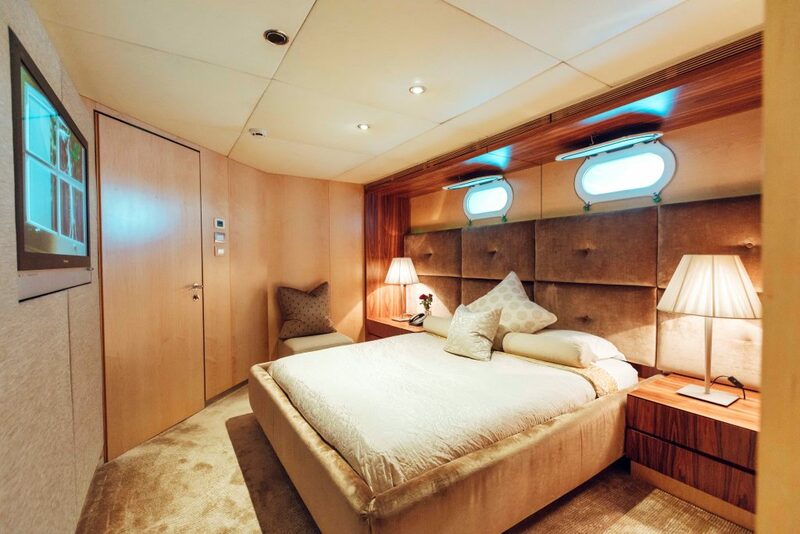 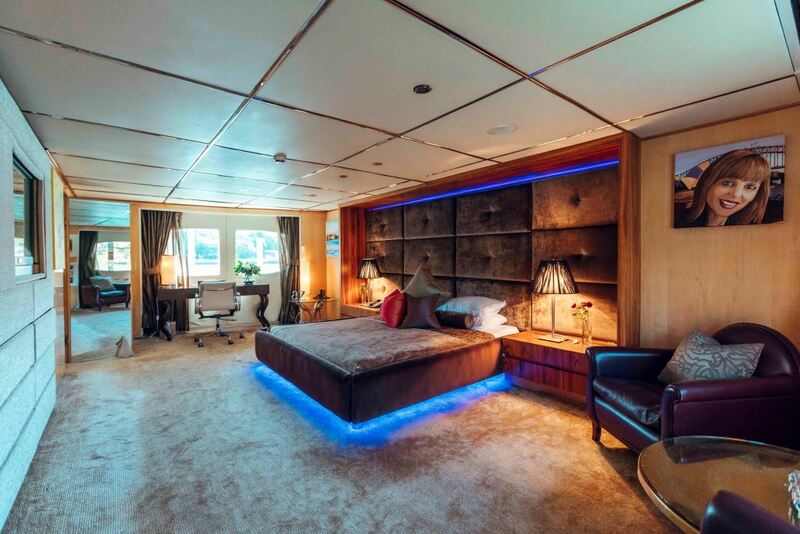 The master stateroom is on the main deck and full beam of the yacht, with a large en-suite bathroom and walk in wardrobe. 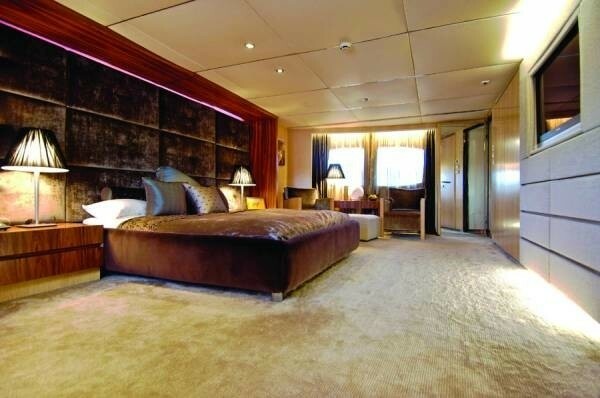 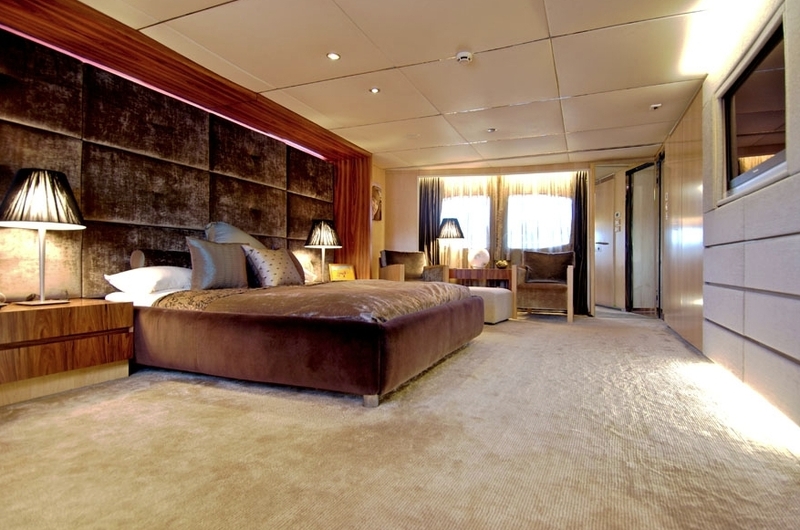 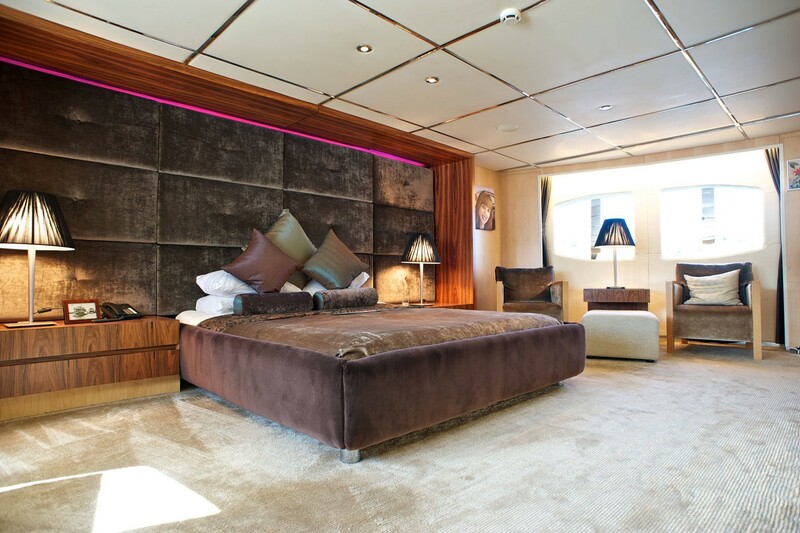 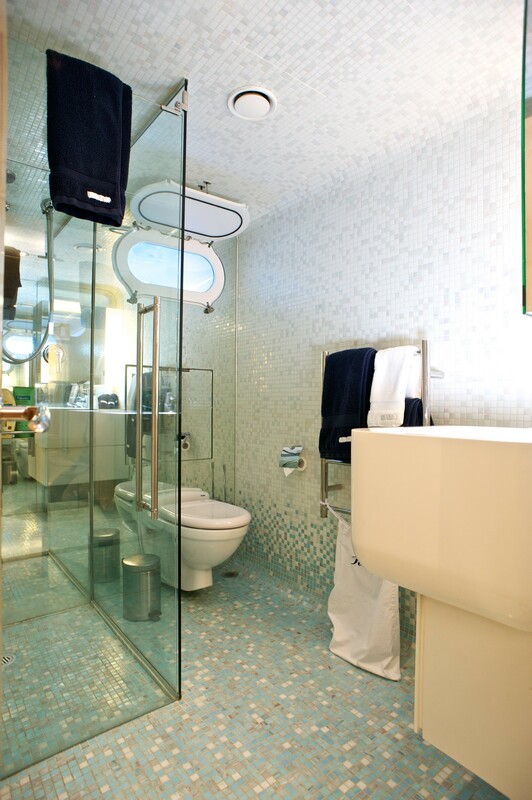 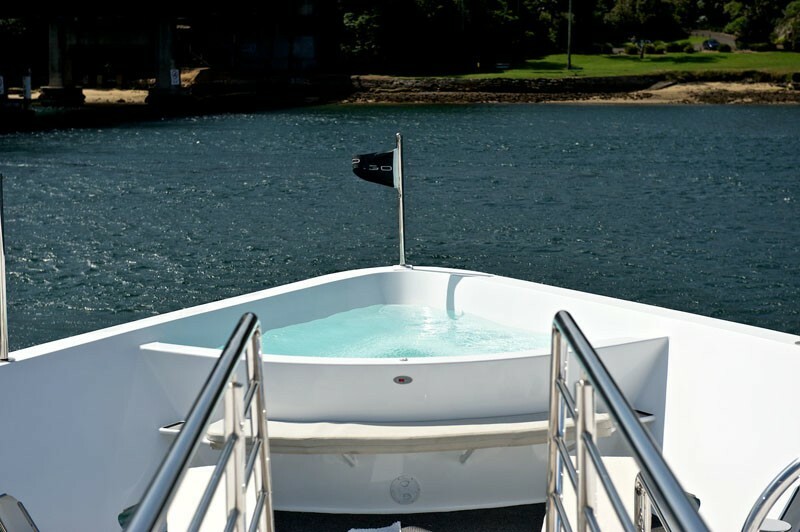 On the lower deck are 3 additional guest cabins, each boasting en-suite facilities. 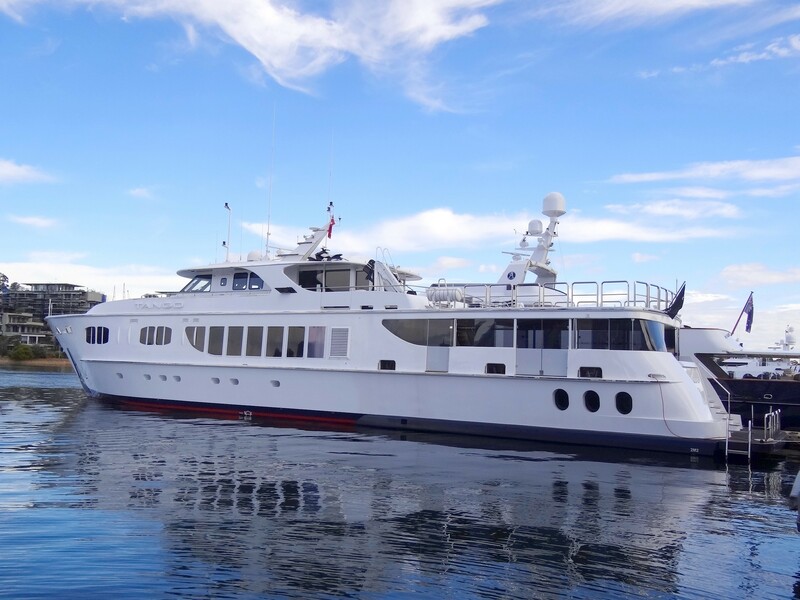 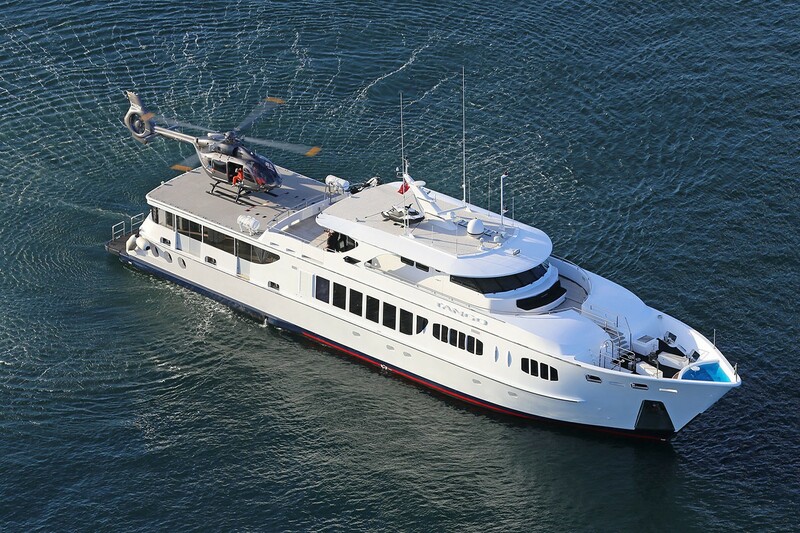 She has a crew of up to 8 with separate quarters and facilities.